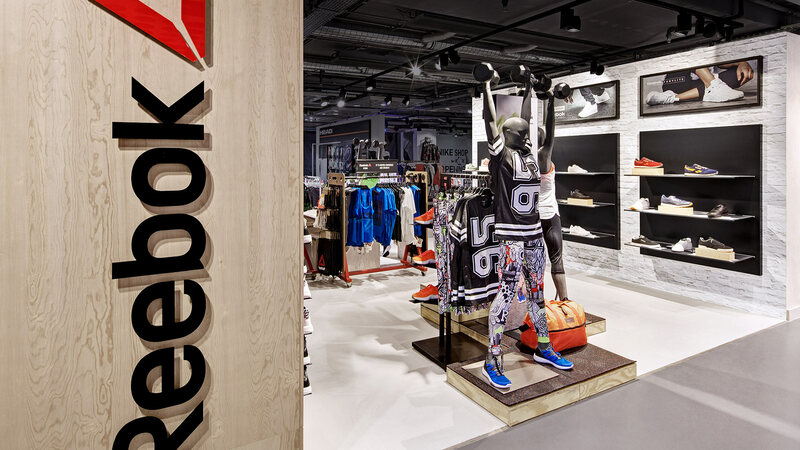 As a partner for retail, D’art Design Gruppe assumes the planning and implementation of sales areas for the sports brand Reebok. 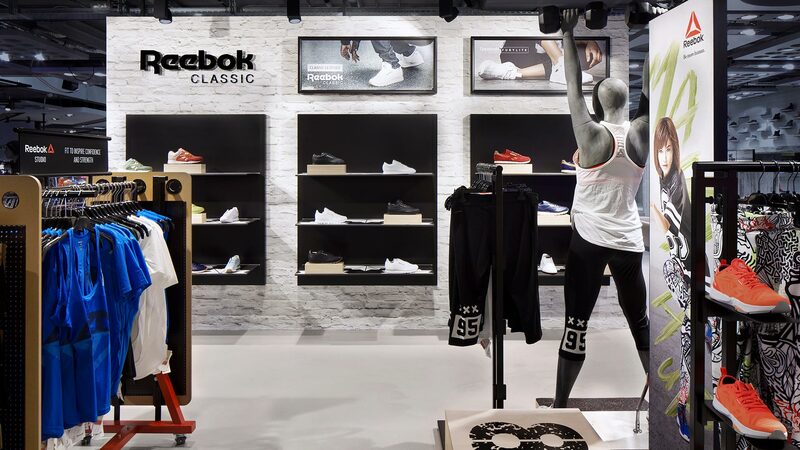 The newest shop-in-shop is located in Zurich in the renowned department store Jelmoli. 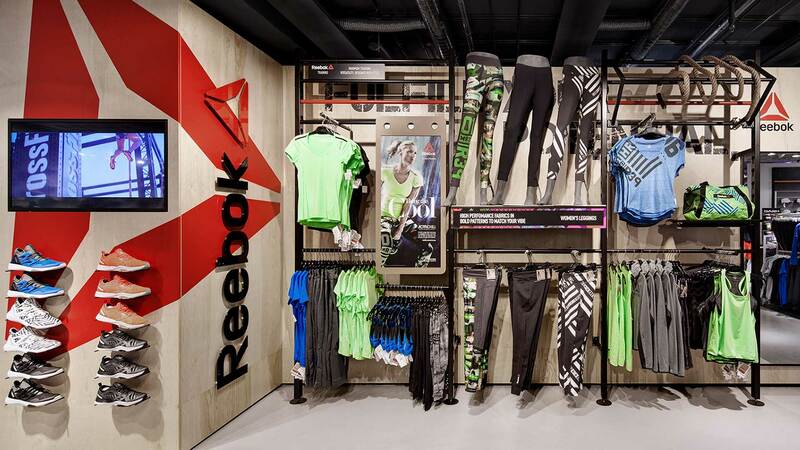 There, Reebok unites the topics fitness with its Reebok Classics lifestyle collection. 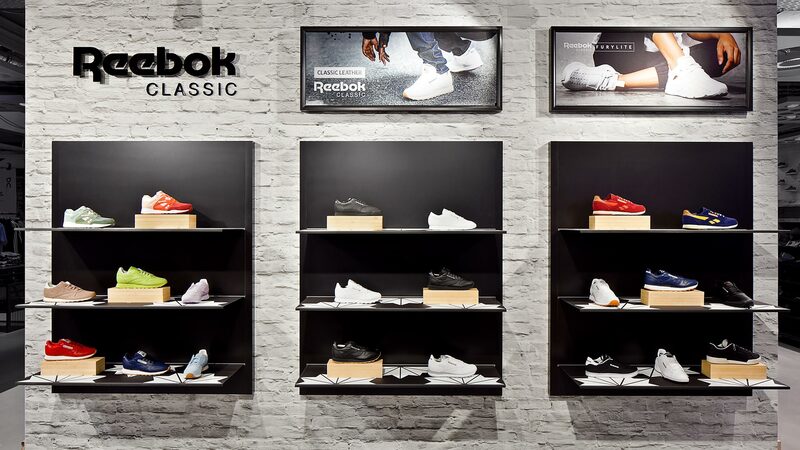 Zurich was the first venue, were the presentation as well as the classics shoes and the whole shop system (FitHub) were combined and installed in such a way. 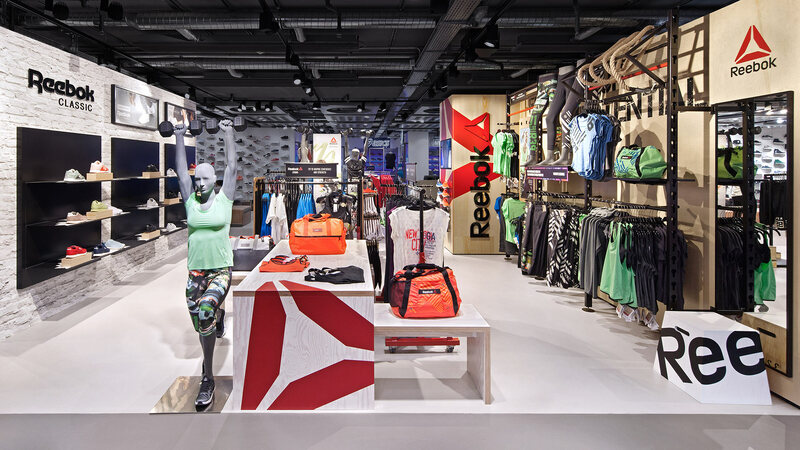 Reebok’s own FitHub shop system is inspired by the fitness thought and conveys this message with design elements from the gymnastics area. 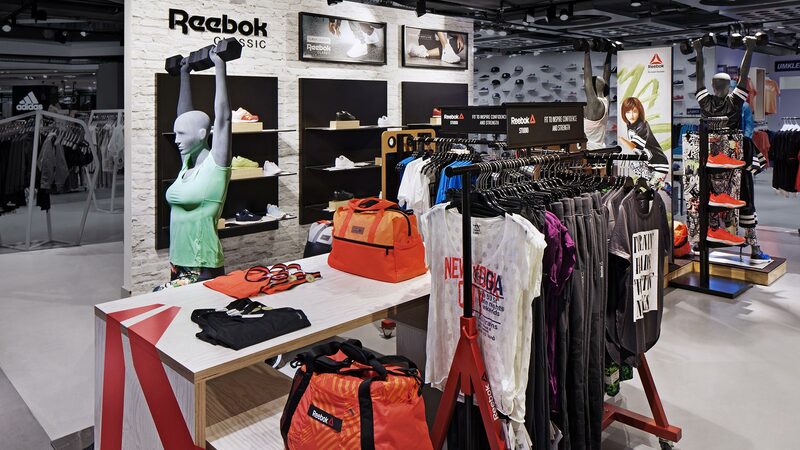 Climbing ropes, chin-up bars, wall bars and jump boxes emotionally charge the shop system. 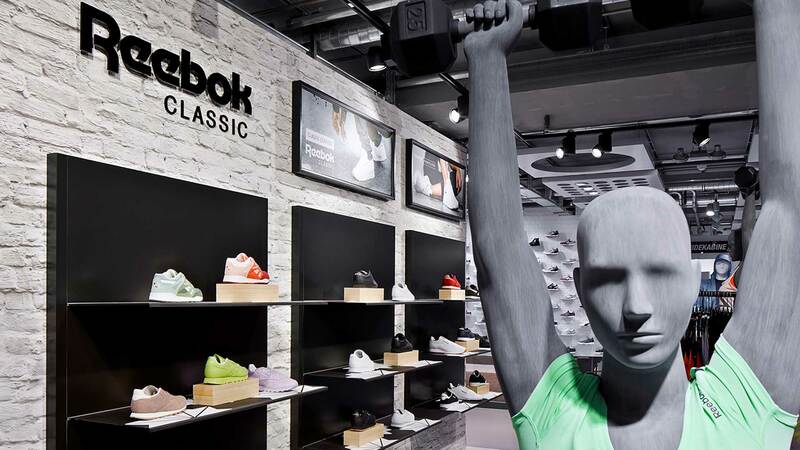 The Reebok Classics are arranged in front of a simulation of a wall and create an exciting space together with the fitness and training goods opposite to it.